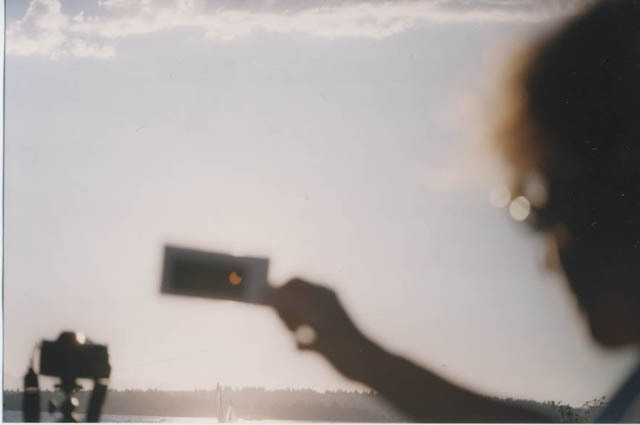 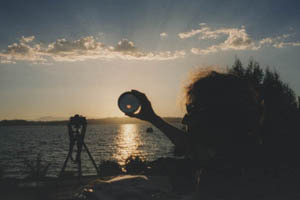 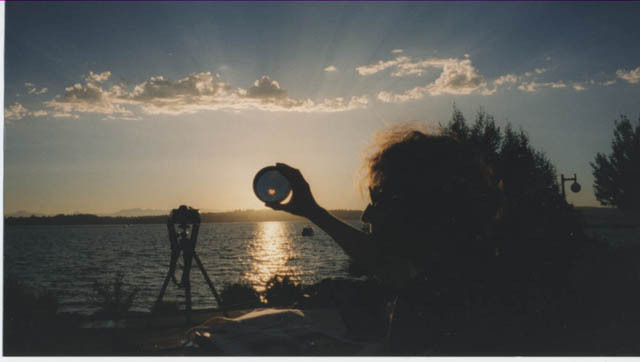 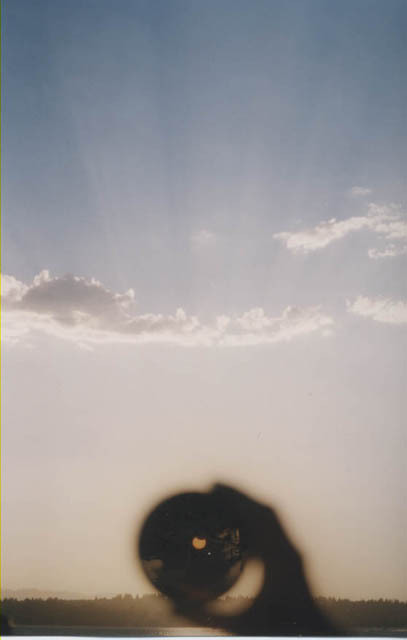 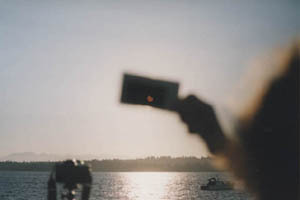 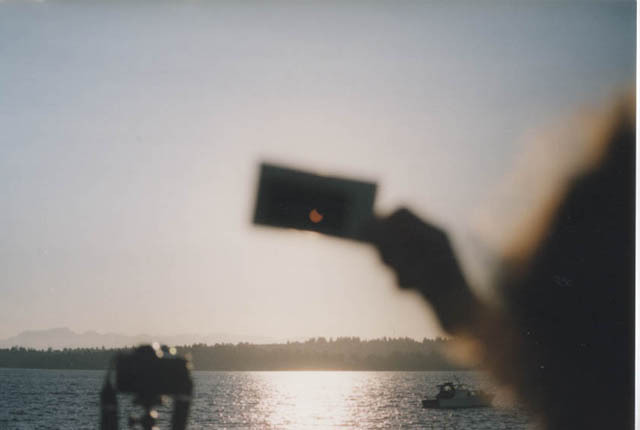 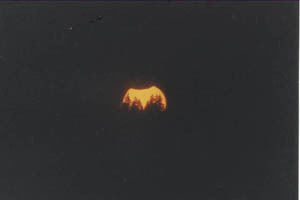 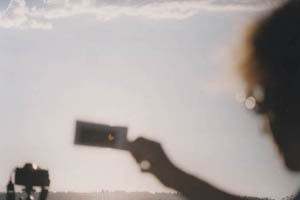 Naomi Pasachoff and the eclipsed, setting sun. 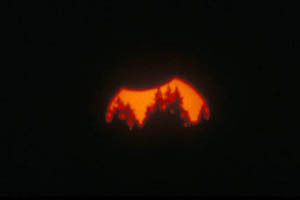 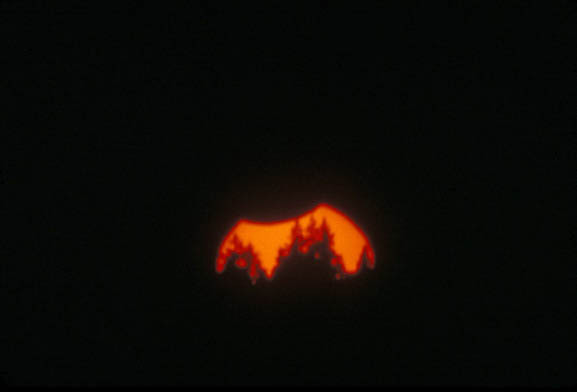 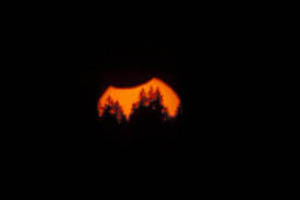 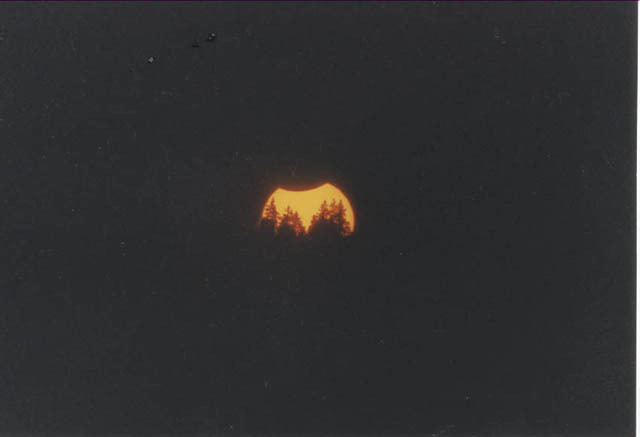 The eclipsed sun set behind trees on the horizon, as seen from Bellevue, Washington. 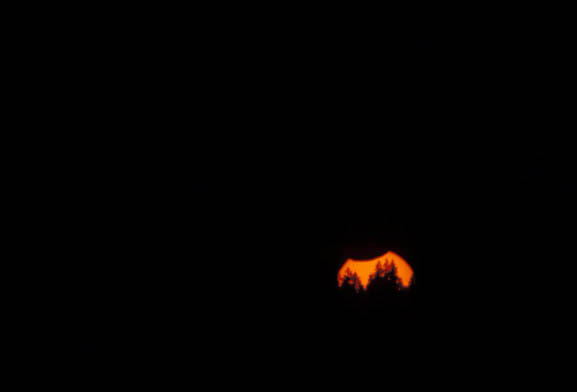 The eclipsed, setting Sun through a solar filter.